volume was US $49.5 billion, accounting for 8.7 percent of India’s total trade volume. We have engaged in lots of containers shipping from China to India and from India to China. Not only FCL 20GP/40GP/40HQ containers, but also LCL ocean shipments and air shipments. Besides, we can provide air freight services if the shipment is valuable or time-emergency. There are many ports in India. And according to the news, about 95% of the foreign trade by quantity and 70% by value takes place through the ports. there are other 10 major ports: Kochi, Kolkata (including Haldia), Paradip, Visakhapatnam, Ennore, Chennai, Tuticorin, New Mangalore, Mormugao and Kandla. Indira Gandhi International Airport, Delhi and Chhatrapati Shivaji International Airport, Mumbai handle more than a half of the air traffic among more than 20 international airports in the country. China-India route is very competitive. 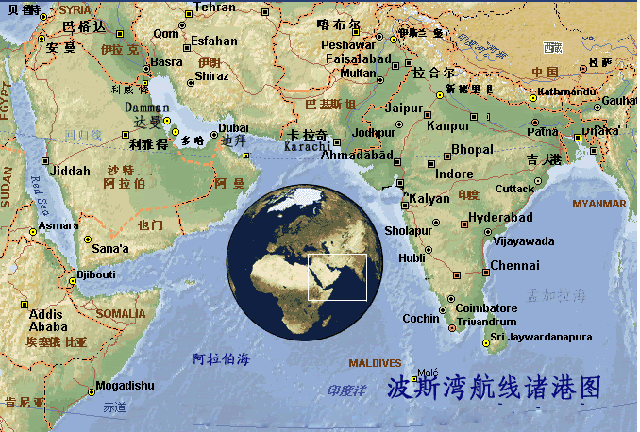 Almost all carriers can handle shipping from any loading port in China to Nhava Sheva directly. The frequency for each carrier is once a week. But for one specific destination port in India, the frequency will be every day. There are always some vessel leaving China and heading to India in one day. So you don’t have to pay attention to the shipping routes at all. Once your cargo arrived at the loading port facility, they can be transported onto a ship immediately. Different steamship carriers, different loading port, different destination port, make the transit time hard to be summarized. You can simply take it as 20 days for your schedule. Please note before the vessel departure, 3~5 days at the FOB port needed, and the same situation at the port of destination. Add this to your considerations. We have a reckon chart below, for reference only. Let’s take Shenzhen as POL and Nhava Sheva as POD for example. $1100 for 40 feet. 40HQ is the same price as 40GP. Attention: a rough idea only. You can get a free fresh quote from us by filling our contact form online. to reduce freight costs in the premise of on-time and safe delivery? You buy FOB, and find us as your freight forwarder. Then you can rely on us and pay more attention on your other important things. We provide cheap shipping charges with one-stop reliable freight services. A really good China freight forwarder can be your close business partner. We are big enough to provide discount freight shipping rates and small enough to care about your shipment. Get a free quote from us now. If you are looking for cheap freight quotes, our rates and service are second to none!